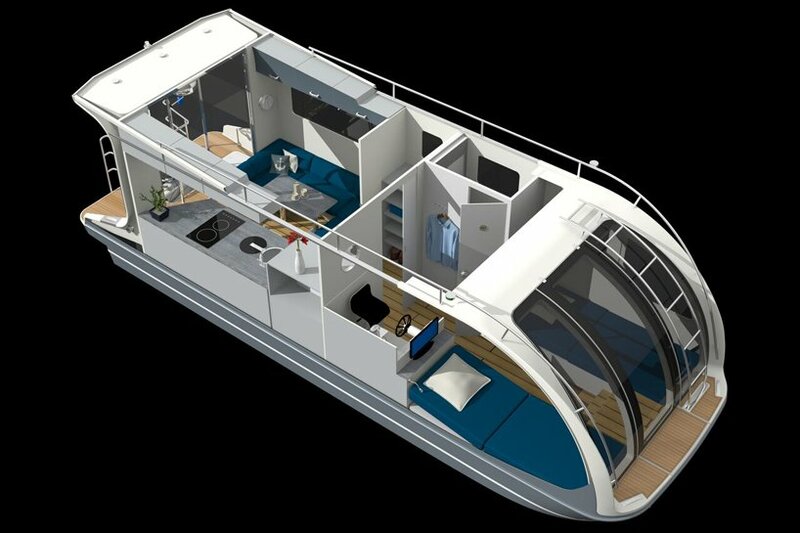 germany-based caravanboat that combines a camper and houseboat into one. 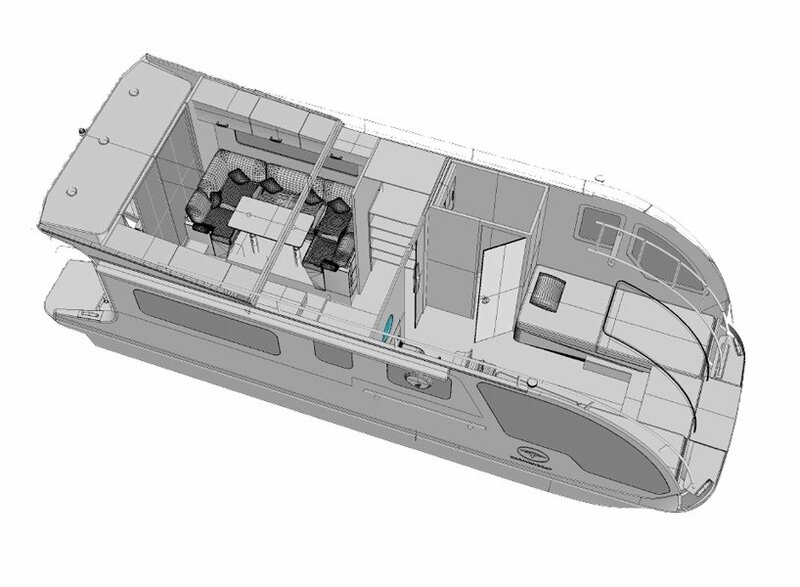 called ‘departure one‘ the 30-foot long camper is constructed using a seawater resistant aluminum hull offering multiple opportunities for use both ashore and on the water. amenities on board are somewhat expected but still impressive. 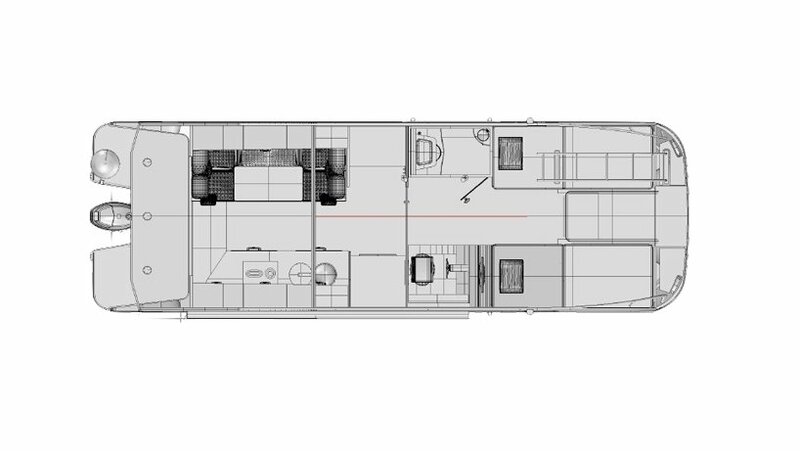 the caravanboat sleeps four people comprising of two single beds in the bow with other sleeping areas in the living room and by converting the seating area. there is also a small shower and washbasin which sits just behind the sleeping area. a closet provides room for clothes and gear, and a kitchen boasts a sink, microwave, fridge, stovetop, and storage. the steering wheel is nestled just before the bow, with huge panoramic windows at the front that include a wing door window to allow access in and out. 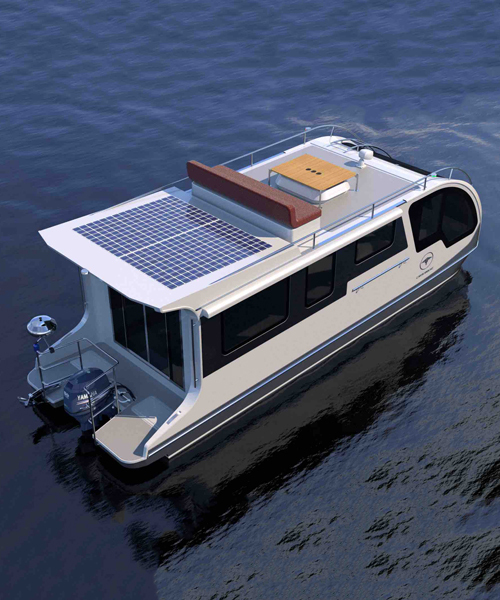 atop the boat a rooftop deck is complete with seats and solar power. 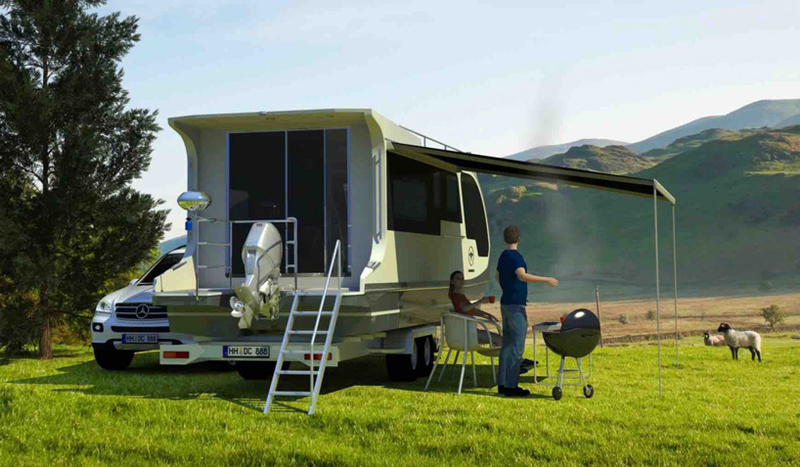 different color options are available for the caravanboat that has a starting price of $67,448. unfortunately the campers aren’t available in the US yet but to find out more information and updates on availability see here. I see an issue launching/retrieving this at most of the boat launches I know. Plus, it looks only suitable for inland rivers, not most coastal areas where a sea comes up fast. Maybe l don’t have the details, why would the helm be placed in a position where you have no port visibility and limited starboard visibility??? Nice concept. This is a versatile RV/boat. Though I agree with e.l. Smith on the misplacement of the helm station. That location does not offer the visiblity required by ABYC and ISO standards.Any other discrepacies?. It would be a good idea to have a yacht designer involved on boat projects.